How Do The Moon Phases Influence Capricorn? The next full moon will occur in Capricorn on July 16, 2019, bringing the time of ambitions and effective work. The only thing you have to do is to choose the sphere you want to advance in and move on.  Capricorns are known for their wish to work hard and strive for new goals that’s why the time will only bring this quality to the forefront. The main problem Capricorns face is that they tend to forget about the balance between work and play. Don’t forget that having a rest and relaxing from time to time is as important as working and achieving new goals. The full moon is a great moment to recharge and restore your power, so do it!